We’re still at the beginning of first quarter, which is the perfect time to plan out your marketing goals for the new year. Now that you’ve had time to check out what worked (or didn’t work) in 2018 you can start implementing new ideas for 2019. What better way to find those new ideas than to host an employee creative session? Cater lunch, gather the team, and let the creativity flow! If you own a business or head the marketing for your company, ask your employees to open up about their ideas! Opening the floor to ideas is beneficial for both you and the employees for multiple reason. Having the opportunity to contribute lets your employees know that their voice is being heard and that they are part of a team rather than just another chair in the office. Many of us have been in positions where we didn’t feel valued by an employer and that can put a real damper on team culture, so be open to the ideas that are being suggested, even if they aren’t fully formed yet. Also, don’t forget to include other departments! Inviting others that your marketing team may not have frequent interactions with can bring in a broader perspective, which often sparks new thoughts from different angles. Keep in mind that in many instances your team has the most contact with your clients and customers, so they are the ones who hear and see a large portion of the pros and cons of how things are working and customer feedback. This time together can provide solutions for problems you didn’t even know you had! As a business owner or marketing leader you’re a busy bee! Which means you might not have had the chance to fully get to know each team member yet. Take advantage of this session by uncovering the different skills of your employees. With so many social media platforms and traditional media outlets, you could find that your team may have further experience with something other than the projects they have been working on. Someone on your team could reveal a hidden talent or side hobby that will be very helpful to your future projects such as videography, photography, editing skills, or even writing. Finding these skills within your team can also prevent you from having to outsource those portions of your projects later on. At the end of your creative session, you should come out with plenty of new ideas to further develop and use in the new year, as well as a healthier team environment which will continue to encourage creativity within your team and business moving forward! Need assistance putting a session together or a third party perspective? Let’s set up a time to chat! 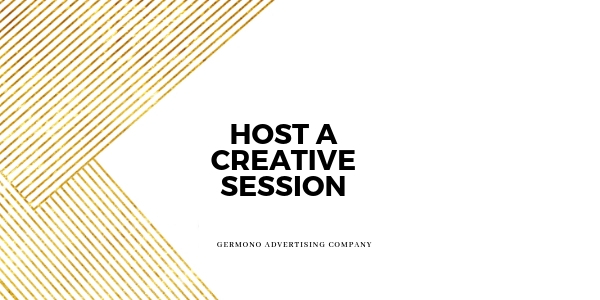 Email BobbieAnne@Germono.com or call (757) 777-3780 to set up a complimentary 30 minute consultation.